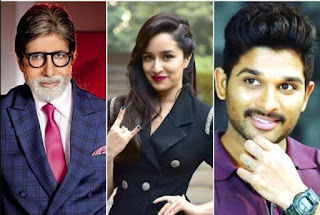 The contribution of the flood victims to the flood victims of Bollywood, from Amitabh Bachchan to Shraddha Kapoor ... ..who would have donated? Due to the complete completion of Kerala, there has been a rash of hatred. Millions of people have become homeless from their homes and are trying to save their lives in search of life. Many damages have been caused in this destruction of millions of rupees. In addition to the central government, many governments of the states have increased their hand in handling the flood victims. Meanwhile, many celebrities of Bollywood and South Cinemas have come forward to help flood victims. After Amitab, his son Abhishek Bachchan also came forward and urged people to help the victims. Abhishek tweeted that there has been a lot of trouble in Kerala or anything else. Try to help people as much as possible ". Anushka Sharma tweeted, "The lives of flood victims in Kerala have become rife. Help as much as you can. " When the bhumi padnaker tweeted, "Kerala's halwa is very bad. The only prayer from God is that everyone is safe. And come forward to help these people ". Shraddha Kapoor tweeted, "I pray to people for the safety of the flood victims of Kerala. Those people need our help. Collaborate in the Relief Fund as small as you can. " For the flood victims, not only from Bollywood but also the South Cinema Stars came forward. Actor Mohanlal tweeted, "Kerala has come forward to help flood victims". When Allu tweeted Arjuna, "The people of Kerala have a special place in my heart. I donated 25 lakh rupees. Do as much as you can. "Rana Daggubati tweeted," Kerala has come forward to help flood victims ". Many celebrities donated to Relief Fund to help people in this disaster disaster. On this, Bollywood's Amitabh Bachchan has also provided some helpline numbers for tweeting. Amitabh Bachchan tweeted: "Kerala's condition is very awesome, please help the flood victims, earners."